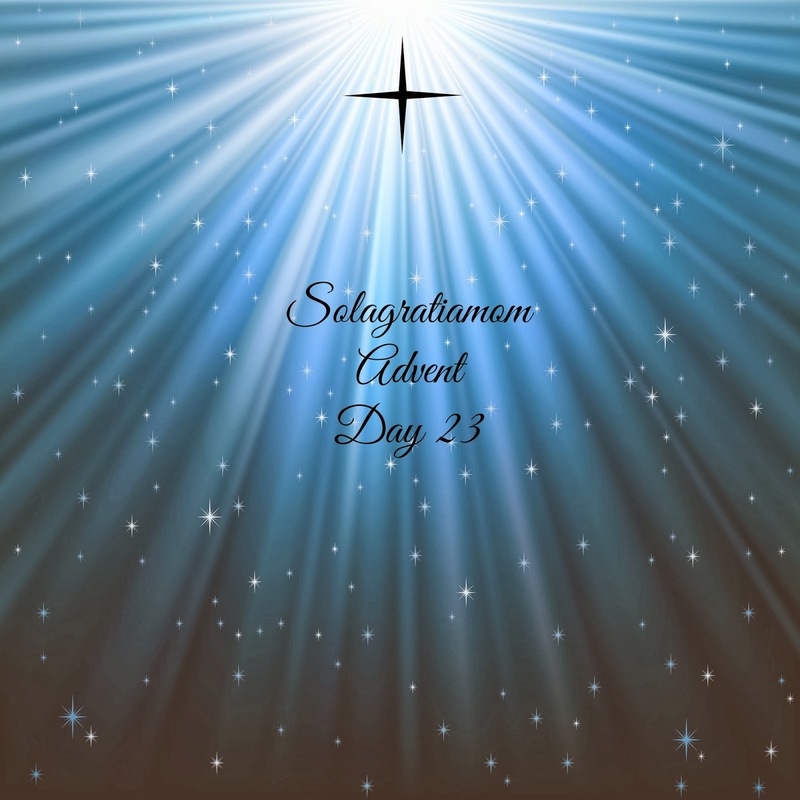 Solagratiamom: Advent Day 23 - Wonderful Wednesday Style Christmas Party! Advent Day 23 - Wonderful Wednesday Style Christmas Party! This was a day for me to bless our friends who participate with Wonderful Wednesday and those friends who we started the CC journey with 4 years ago! I planned to take the crafts we have been doing for Advent and share those with them as well as a meal and some fun games! So the crafts we did were the El Greco Snowman, Mirror Image Trees and Recycled Magazine Wreaths! They all did great! Each one came out beautiful! 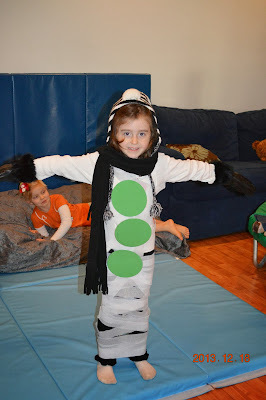 The game we played was the snowman game - two teams raced to see who can dress their snowman first. So cute and fun! The best part though is always at the end when they get to have a snowball fight with the toilet paper (or today we used crepe paper which actually was stronger and worked better)! I set out the materials for three different projects. You can see how to do them by clicking on each project name below. There was a table for the hot glue and one for the cutting/pasting crafts. 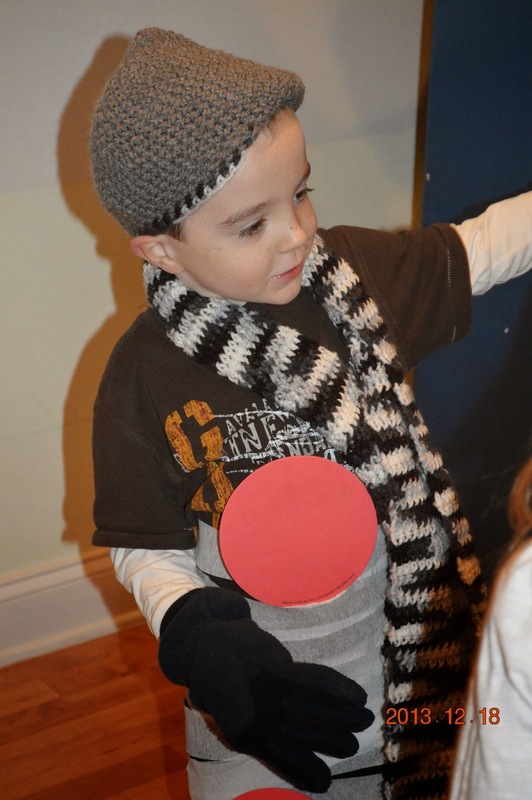 The kids could pick which crafts they wanted to do (and Mommy would allow). They each managed to get two or more crafts done! Once the crafts were done then we sat down to eat together. Yummy chicken, green beans, quinoa and rice as well as punch & cookies for dessert! It was a nice time of fellowship and fun for the kids. To end our time together, I had wrapped a variety of small gifts (one for each child) and put them in a bag, having them draw a number and pick according to that order out of the bag. Then to be silly I had them follow directions like; give your gift to the person on the right, then the person across from you and then had them raise their hand if they wanted to keep what they had in their hand (still unopened). If they did, they stepped out of the circle. The others continued with the directions switching around the gifts. Finally, everyone opened their gifts and then they were able to trade with one another. It was a fun way to end the time together.